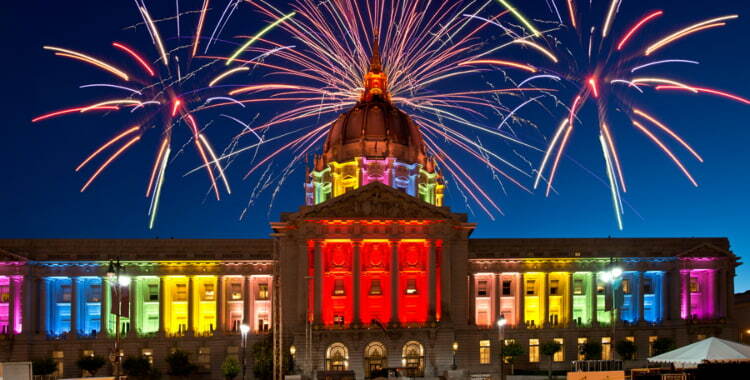 Planning a trip to the annual San Francisco Pride Parade & Celebration? San Francisco Charter Bus Company has all of your transportation needs covered. Shuttle your group around town or take a road trip to the City by the Bay– whatever your travel needs are, we’re here to make sure you travel with ease throughout your journey. We offer reliable ground travel services for groups headed to San Francisco to experience Pride. Spectators and groups of friends can enjoy a private minibus for streamlined group travel, while large groups of performers can utilize a full-sized motorcoach to store performing essentials and comfortably accommodate every group member. Trust our professional reservation specialists to book the perfect bus or fleet of buses for you– all you need to do is sit back and enjoy the ride! The San Francisco Lesbian Gay Bisexual Transgender Pride Celebration is an exciting annual event that, according to the official SF Pride website, aims to “educate the world, commemorate our heritage, celebrate our culture, and liberate our people.” Each June, the celebration marks the end of the month-long Lesbian, Gay, Bisexual, and Transgender Pride Month, held each year to honor the 1969 Stonewall riots in Manhattan, which were a crucial tipping point for the nation’s Gay Liberation Movement. The 2-day celebration is highlighted with inspirational speakers and performers from around the world, but perhaps the best-known highlight of the event is the annual Pride Parade, one of the world’s oldest and largest LGBTQIA parades. Whether you’re just stopping by for the parade or you’re planning a weekend trip to experience all of the Pride’s top events, we’ve put together some travel tips to help you make the most of your trip! 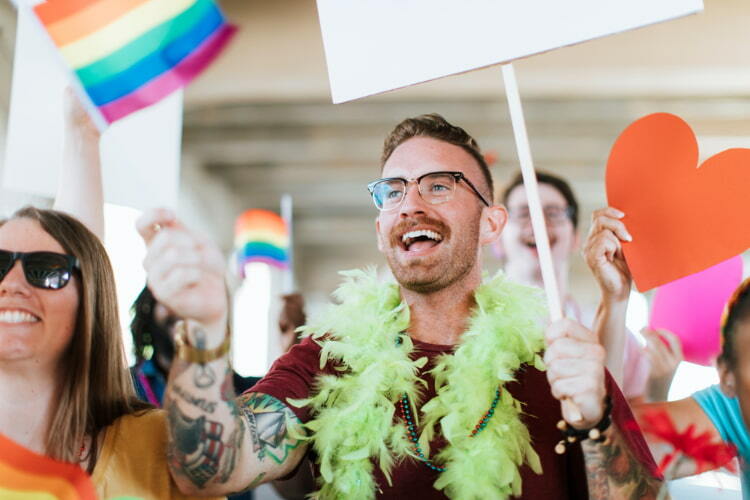 If you’re not staying within walking distance of Pride festivities, no worries– San Francisco Charter Bus Company can provide reliable transportation arrangements for your entire stay! Book a minibus for you and your friends to help you travel through San Francisco’s streets. We’ll drop you off right at the festivities and pick you up when you’re ready to get back to your hotel. Stick to your own preferred schedule and let a professional do the driving— all you have to worry about is celebrating with your friends and fellow Pride visitors. Many performing acts and inspirational speakers will appear at the Main Stage, which is located at the steps of City Hall in Civic Center Plaza. Community stages and other gathering spaces will be spread throughout the area near City Hall. Spaces include designated areas for Deaf and Hard-of-hearing visitors, a Women’s stage, an Asian & Pacific Islander community stage and pavilion, as well as other areas for various groups to engage with one another. Be sure to check the full list of community stages to help plan where you’d like to go during the celebration. Festivities are held on the last Saturday and Sunday of June. Saturday’s events run from 12:00 p.m. to 6:00 p.m. while Sunday’s events run from 11:00 a.m. to 6:00 p.m. The San Francisco Pride Parade marches down Market Street from Embarcadero to the Civic Center. A map can be found on the Pride website to help visitors navigate their way to the parade route. The parade is set to begin on day 2 of the celebration (the last Sunday in June) at 10:30 a.m. Expect at least 200 contingents to participate in the parade, which can sometimes continue until 3:00 in the afternoon. While attendees are discouraged from bringing bags, some essentials may be necessary in order to make the most of your Pride experience! Remember to pack these items, whether you’ll be bringing along a bag or just using your pockets. Note that, if you do decide to bring a bag to the festivities, it cannot be larger than 18 square inches. Sunglasses: San Francisco is known for its hot, sunny weather. Since you’ll be outside for most of the celebration, be sure to bring along some shades. Sunscreen: We repeat: it’s going to be hot and very sunny while you’re in town! Protect your skin with sunscreen, and remember to reapply every few hours. Water: Stay hydrated to ensure that you feel your best throughout the celebration. Bring along a bottle of water or a refillable bottle to help make sure you’re drinking enough water. Backup phone charger: Keep your phone charged to stay current on festival updates and to help you coordinate plans with your group. A backup charger will ensure that you won’t have to be hyper-aware of your phone’s battery status all day. While we charter both full-sized coaches and minibuses, a minibus is typically a better option for city travel. This is especially true for Pride weekend, when extra crowds will be traveling on foot through San Francisco’s busy streets. We offer 18-, 20-, and 25-passenger minibus models, all of which can be customized to your group’s particular requests. Air conditioning and reclining seats make for a comfortable ride to and from the Pride festivities, and WiFi and power outlets make it easy to stay connected while you travel. Unlike public transportation or rideshare services, a private minibus allows your group to travel as a unit through San Francisco, ensuring that no one ends up lost along the way. Set your own pickup and dropoff times and let your driver handle all navigation– all you have to do is relax, enjoy the ride, and focus on having an unforgettable Pride experience. 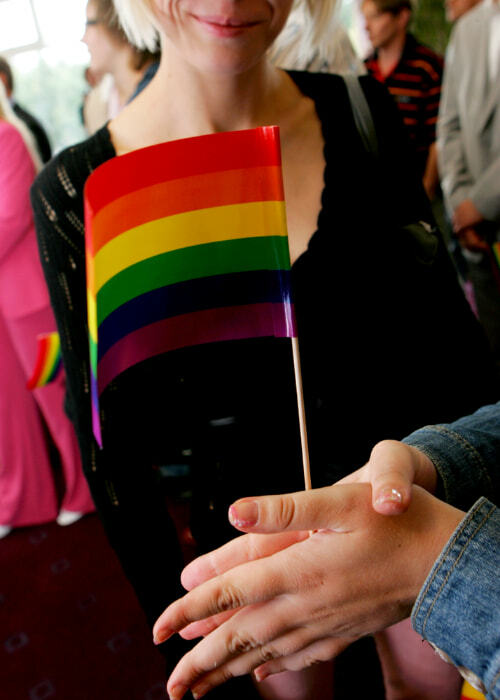 San Francisco Charter Bus Company is available 24 hours a day to help you book transportation to San Francisco Pride. Call our 24-hour team at 415-404-6456 to learn more about how we can help with your Pride transportation needs!